The federal government puts in only about nine cents of every dollar spent on K-12 education in the United States. But the tone and direction of policies and spending decisions reverberate. This fact makes it all the more confounding to try and make sense of federal STEM education policy these days. As we saw with the $200 million “promised” for STEM education earlier this fall, actual efforts can signal something less than full commitment. Arguments for the importance of high-quality STEM education continue to appear, citing mostly similar elements: innovation and competitiveness, adaptable skills, inclusiveness and social equity. And forecasts about job trends continue to identify STEM-related skills as central to durable employability. Against this familiar backdrop, federal efforts to support students moving into a workforce that seems to prize STEM-related abilities show little strategic coherence. The headline story, of course, has been tax reform. Having passed the House and now slogging through the Senate, the Tax Cuts and Jobs Act delivers a vexing combination of minimal, general support for and targeted, damaging hits to the infrastructure of STEM education. Tax reform is still taking shape in Congress, but current versions of the bill deliver mixed news, at best, for education in general and STEM in particular. The overall tax environment for most educators, anchored in the middle ranges of income brackets, would change a bit, but in different directions over time. At first, middle-income earners like most teachers, staff, and administrators would see a moderate tax cut, estimated to reach up to several hundreds of dollars. Over time, though, rising tax rates would eat away at this cut, until almost nothing would be left by 2027. State and local governments pay by far the greatest share of K-12 education costs. Especially in areas with higher state and local tax (SALT) rates, the ability for taxpayers to deduct these payments from their federal liability undergirds local authorities’ ability to collect these taxes. Eliminating deductions for state and local tax payments, as contemplated in the bill, would take over $17 billion out of K-12 education funding, according to a 2011 estimate by the Center for Education Policy. By now, the actual figure is likely higher. Teachers almost uniformly pay out of their own pockets to supplement the classroom supplies available to them, especially in high-need schools. Credit: AdoptAClassroom.org. $2 billion tax hike on teachers? Teachers report spending almost $600 a year of their own money on school supplies. Currently, they can deduct up to $250 of such expenses from their tax liability. Under the new House tax plan, it would disappear, leading to a $2 billion tax hike on teachers. One version of the Senate bill would raise the deduction to $500. So … what’s it going to be? The tax bill could well drain the pool of students able to pursue graduate studies by deeming tuition waivers part of students’ taxable income. Graduate students often receive modest stipends, often taxable already, for teaching or helping with professors’ research projects. In addition, the universities waive tuition payments, which can run well into the 10’s of thousands of dollars at private universities. Adding these amounts to students’ taxable income would, in almost every case, lower their net pay and notably increase their tax bill. Removing graduate students from the higher education teaching and research workforce would harm every university in the country. STEM fields, especially those requiring complex equipment, long hours in the lab, and large, collaborative teams, would be crippled. Higher education advocates have professed shock and horror at this provision. But the play, Mrs. Lincoln? In mid-November, the House Science and Technology Committee approved four bills related to STEM education programs within the purview of the National Science Foundation. Each bill directs the NSF to gather data, alter program priorities, and/or coordinate with other agencies on STEM activities or topics related to women, veterans, young children, and research findings. To carry out these efforts, the bills authorize the princely sum of $0. The 2015 Every Student Succeeds Act transferred significant degrees of accountability for educational progress from the federal government to the states. The law sketches broad parameters for how states should enact accountability regimes and then requires federal approval of these plans. A new online tool tracks how states are carrying out their duties. Headline takeaways show increased attention to college and career readiness and 27 states including science assessments, though learning outcomes remain vague or even absent in most instances. The Department of Education sought comment earlier this fall on 11 proposed funding priorities. STEM education made the list, with emphases on computer science instruction, diversity, and pedagogies with evidence to support effectiveness. The STEM Education Coalition provided comments that encouraged, 1) support for all STEM fields, not primarily computer science or any other, and 2) particular attention to including high-need, underrepresented groups in funding efforts. Meanwhile, as part of the administration’s plan to cut $9 billion out of the department’s annual $68 billion budget, Secretary of Education Betsy DeVos has reduced staffing levels by eight percent. The areas most affected by cuts have been processing applications for student debt relief and investigations of discrimination in schools. 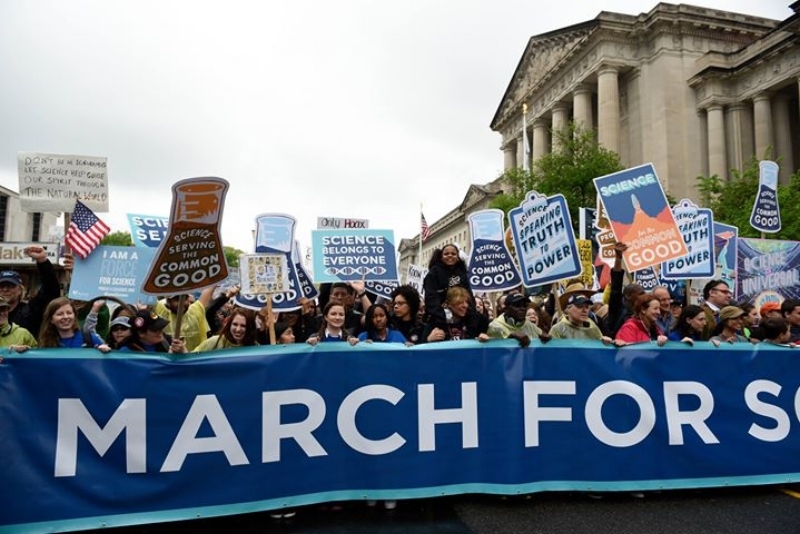 The April March for Science catalyzed awareness and activity among many who had previously stayed out of politics. One result, perhaps, of these activities: 17 candidates with STEM backgrounds won election to office in November, ranging from Virginia governor-elect and medical doctor Ralph Northam to a neuroscientist elected to the school board in suburban Philadelphia. The tax bill will continue to work its way through Congress in the coming weeks. If you have concerns about it, contact your local representatives to make them known. What would you say to them? 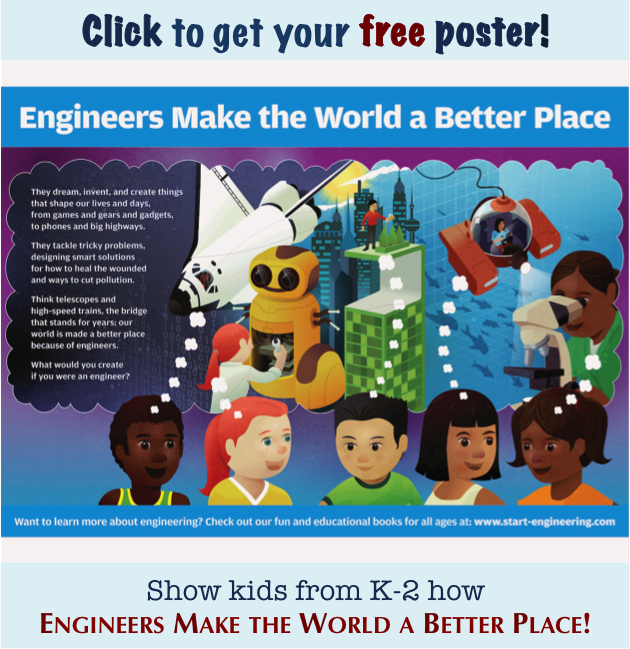 What STEM education issue seems most important to you? Please share a comment below, and pass along to any interested friends or colleagues. New for 2017! 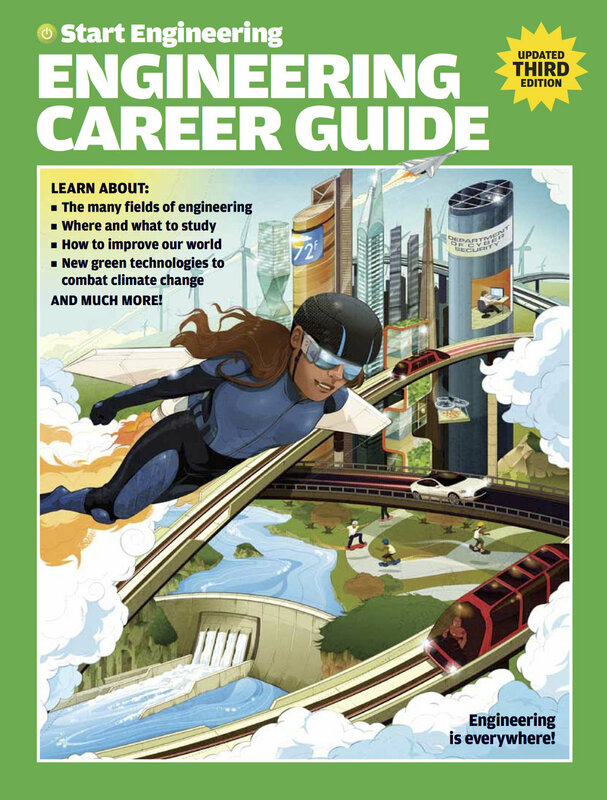 The updated version of our Start Engineering Career Guide is an all-in-one resource for getting middle and high school kids excited about engineering. 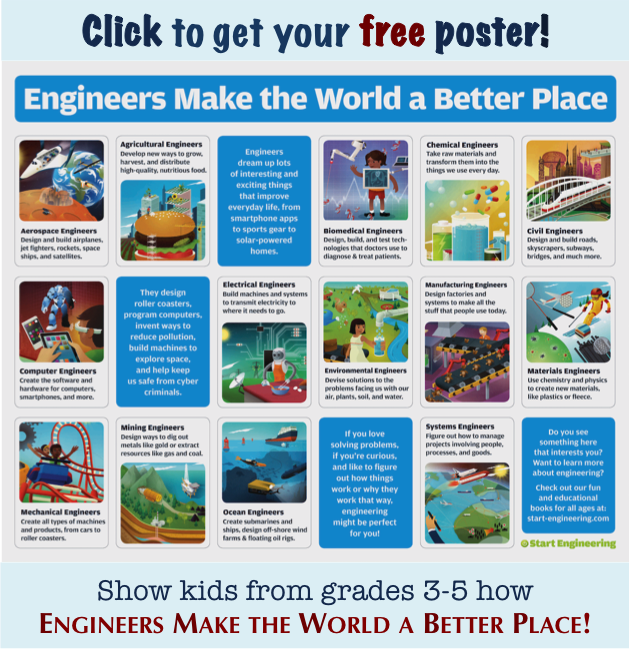 We’ve also got great new posters. And remember, our books cover the entire PreK-12 range. Get the one that’s right for you at our online shop.